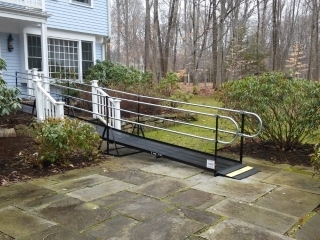 The front entrance of this Wilton, CT home is now wheelchair accessible with an Amramp modular wheelchair ramp. 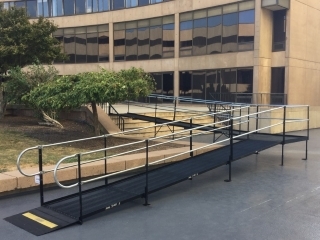 A high-rise condominium in Hartford, CT RENTED this temporary wheelchair ramp to provide access during a sidewalk construction project. 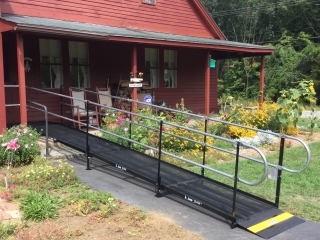 This quaint home in North Windham, CT is now accessible with an Amramp modular wheelchair ramp.